For more information about all your uPVC and aluminium double glazing requirements, do not hesitate to contact us now for advice and a no obligation quote. 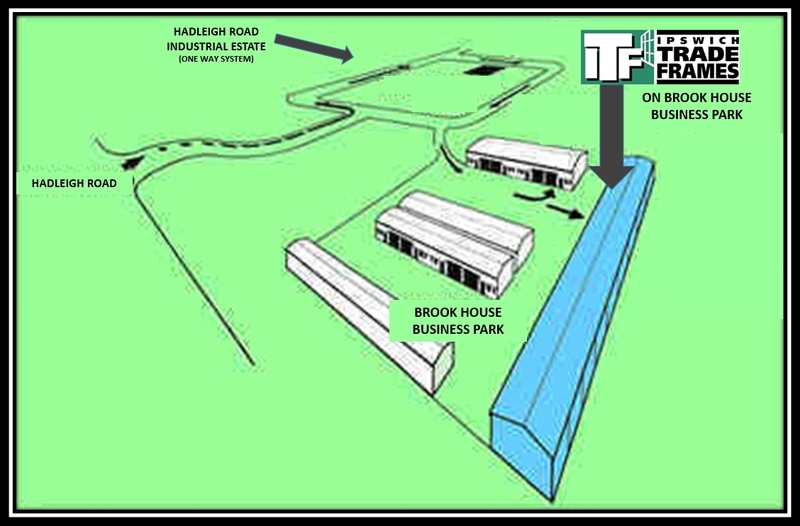 Ipswich Trade Frames is based on Brook House Business Park which is located in the bottom right hand corner of the square of Hadleigh Road Industrial Estate (off Hadleigh Road) in Ipswich. The Ipswich Trade Frames warehouse is located in the left corner.